Compact, self-contained GFM mass flow meters are designed to read flow rates of gases. 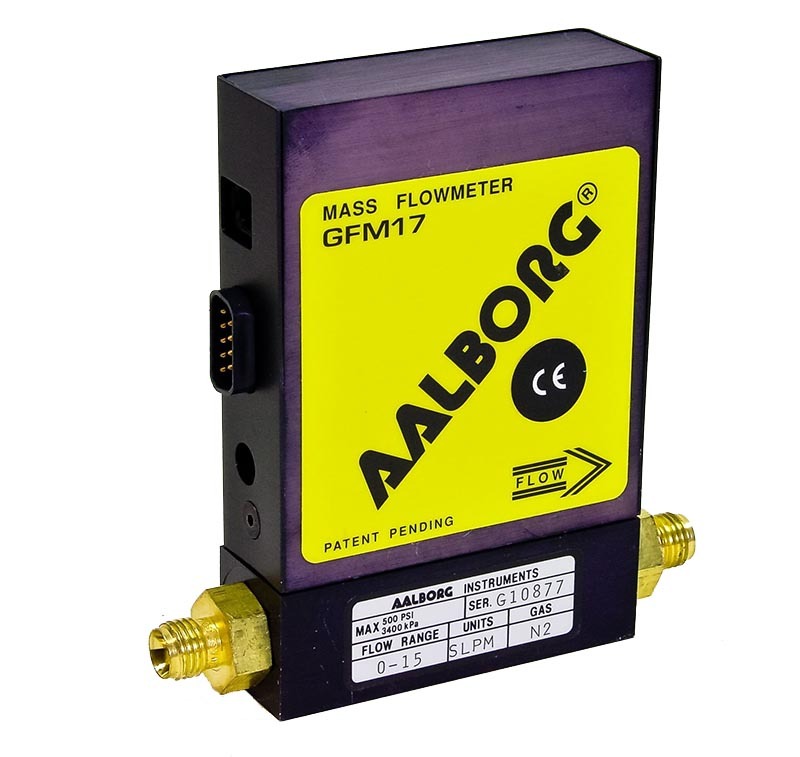 The rugged design coupled with instrumentation grade accuracy provides versatile and economical means of flow measurement. Aluminum or stainless steel models with readout options of either engineering units (standard) or 0 to 100 percent displays are available. 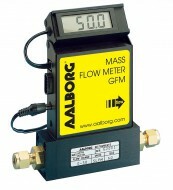 RESPONSE TIME Generally 2 seconds to within ±2% of actual flow rate over 25 to 100% of full scale.